Innovative for increasing biodiversity and providing an enhanced aesthetic in a custom manner. 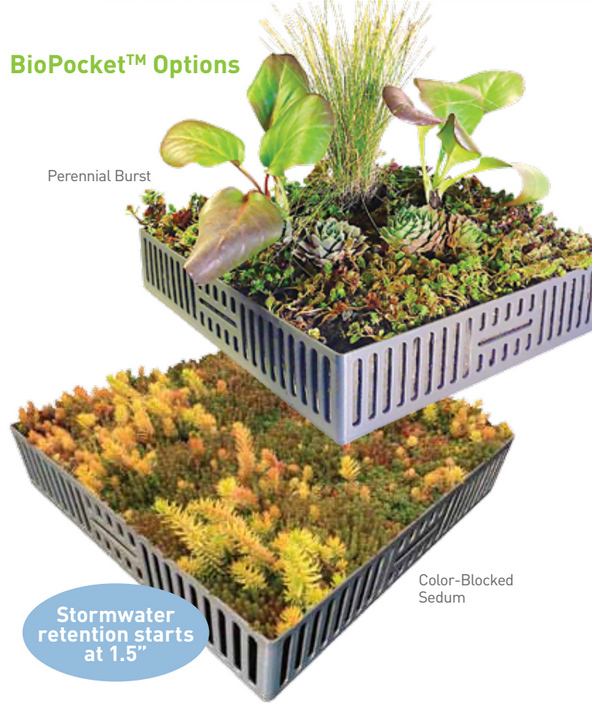 The BioPocket’s burst of color, grasses and perennials are seamlessly integrated in a traditional pre-vegetated sedum blanket system. The BioPocket™ is placed over various depths of growing media and can help create topographic variation. There are two BioPocketTM styles: a combination of sedums and perennials or color-blocked sedums-only. The former requires a deeper depth of growing medium. Perfect solution for increasing biodiversity and providing food for pollinators such as bees and butterflies.